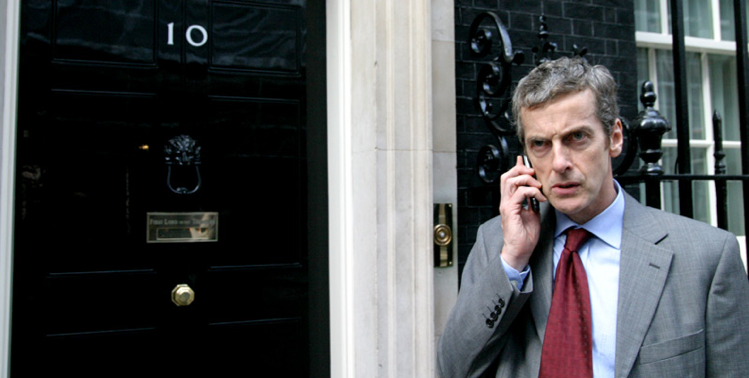 Before he was elected to serve as the next Doctor, Peter Capaldi was a well-recognised face on the British comedy circuit for having played Malcolm Tucker, Armando Iannucciâ€™s thinly-veiled lampoon of Alastair Campbell. Tucker rose to prominence thanks to Iannucciâ€™s wildly successful television show, The Thick of It, which ended recently after its fourth season. The Thick of It formed the basis of two spin-offs, one of which is HBOâ€™s Veep (more on that here), and the other is this weekâ€™s movie recommendation, titled In the Loop (2009). The film deals with meetings between US State Department officials and UK politicians after a blunderous radio interview, in which a junior MP has unwittingly suggested that we must initiate war in the Middle East as a matter of principle. British and American politicians alike seize on the opportunity either to exercise their trigger finger or to seem like the cautious restrainer-in-chief, depending purely on what they anticipate will make them look good. The rest of the film is about how middlemen and executives shape policy in their efforts to seem competent. Itâ€™s that performance of competence, rather than its true presence, that forms the focus of the satire. A lot of the film plays not only on the political environment and the fickleness of its key players; thereâ€™s a hefty dose of ridicule pointed toward the way the political world was often represented in a Sorkin-steeped, Obama-canonising 2008. While the dialogue is precise and lightning-quick, itâ€™s also incomparably crude. In place of the strategic shadowing and earth-tones of your garden-variety political drama, the colours in In the Loop are bright and etiolated, lending to a sense that everyoneâ€™s exhausted, and their flaws are always in full view. While the edgy, hand-held camera-work conveys the frenetic atmosphere of snap judgments (recall the famous West Wing corridor walk-nâ€™-talk), the camera clumsily chases behind the characters as they spend time locating the correct room for a meeting. By the end of the film, you feel less like a spectator and more like the bumbling assistant trying unsuccessfully to take notes on scraps of paper. A glamorous â€˜halls of powerâ€™ drama from a British perspective it ainâ€™t. The challenge with political satire, and especially when placed in the medium of film (where the gimmick has plenty of time to play out), is that it isnâ€™t being done right if the whole thing seems like poking fun at â€˜those people over thereâ€™ while leaving us unharmed. If weâ€™re not part of the ridicule, then the whole exercise seems a little bitâ€¦ pointless. In the Loopâ€™s success in making â€˜those people over thereâ€™ look like self-serving conniving scumbags is ultimately attenuated because they end up being so successful at hiding their incompetence. We (the viewers, the electorate) canâ€™t really be blamed for not having noticed the innumerable screw-ups along the way, so we remain ignorant and blameless. The result is the duality of conspiracy that Keith has referred to on this site before: the architects of the conspiracy must be both so incompetent that they need to construct an elaborate cover-up in the first place, while also being so competent at hiding their charade that most people never notice. 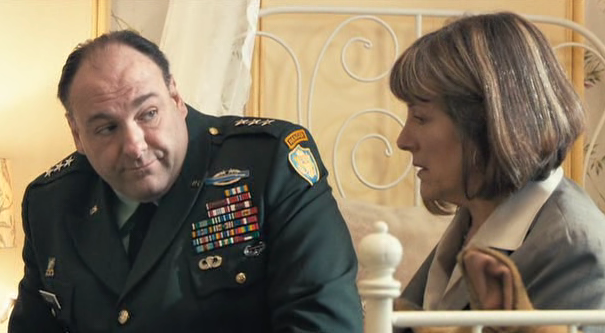 Iâ€™d say I have a favourite moment, but really any scene with James Gandolfini will do. The film is a superb showcase for his considerable comic talents. If you watch him spar with Peter Capaldi and fail to chuckle, Iâ€™ll eat my hat. As for Malcolm Tucker, well, as one of the most bilious and acerbic abominations to have been coughed up onto the screen, Capaldi brings a whole new, glorious meaning to the term vicarious catharsis. Listen to his improvised excoriation for a few minutes and feel your stresses slide away. As an appetizer from The Thick of It, here’s Malcolm giving the best description of Star Wars ever. “In the Loop” sounds like fun, and fortunately Netflix has it.